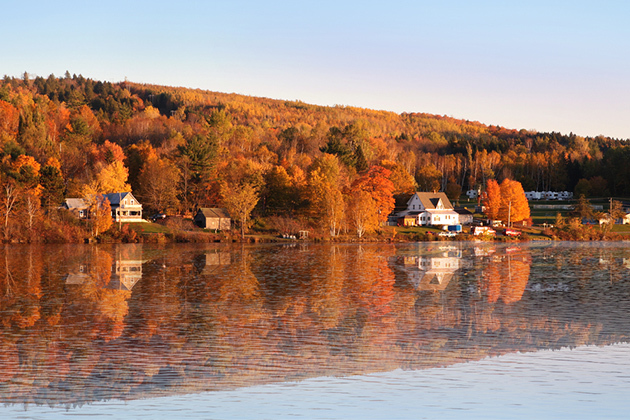 Colonial history and rugged coastlines, craggy seaside villages and opulent mansions -- these are just a few of the things that make a Canda New England cruise so appealing. Each northern Atlantic port offers a glimpse into the past, as well as present-day natural beauty. 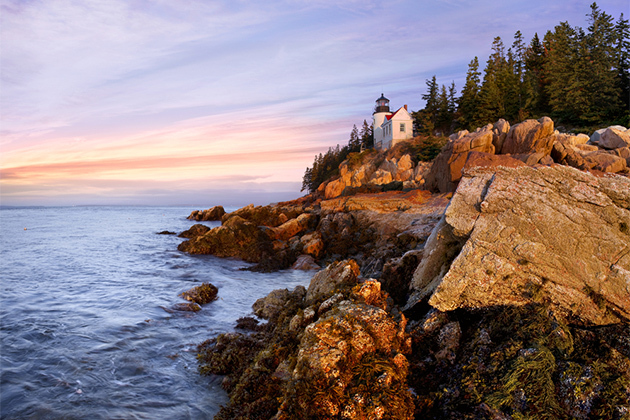 You can learn about America's forefathers in Newport and Boston, while Bar Harbour is known for its stunning rocky shores and towering cliffs. In Atlantic Canada, Halifax and Saint John offer a glimpse in to a different kind of city life, one where voices are quieter, the pace is slower, and a city library (bibliotheque) takes up prime real estate, overlooking Saint John's harbor from a wharfside mall. 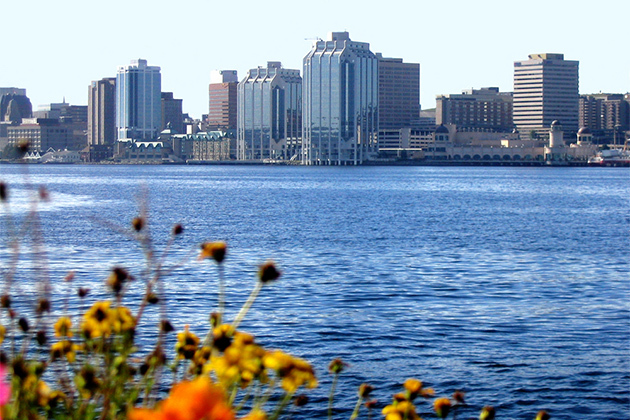 Cruising Canada and New England is not only about what you can see and learn, though. These itineraries offer a plethora of opportunities to peddle, paddle and hike -- in national parks, along coastal roads and through color-filled forests. Speedboat rides in the Bay of Fundy, whale-watching excursions, and white-water rafting are all available, too. The Canada/New England cruise season runs from May to October, with the greatest number of ships sailing in August and September. The summer months are ideal for families on break, whereas autumn is perfect for leaf-peeping and ships that are mostly kid-free. Peak foliage times run from late September to mid-October. May, June and October can be quite chilly in Canada, especially at night when lows dip to high 40's/low 50's in Halifax. July and August are the warmest months, with highs in the low to mid-70's in Atlantic Canada and upper 70's in Montreal. Still, even summer nights are cool, and it's not unusual to find lows in the mid-50's. The best time to see whales off the Atlantic coast of eastern Canada varies by location. June through early August is the best time to spot these magnificent creatures off the coast of Newfoundland and Labrador. And the best time to see whales in the Bay of Fundy is between July and September. Seals can also be spotted off the coast of Prince Edward Island during the summer months. Nearly every major cruise line has at least one ship sailing a Canada/New England itinerary, some with fall dates only and others with summer and fall voyages. Luxury small-ship lines Seabourn and Silversea offer stops in Martha's Vineyard, Nantucket and other smaller ports not found on big-ship itineraries. Expedition cruises on American Cruise Line and Blount Small Ship Adventures focus sailings on the Hudson River Valley and Thousand Islands region, including visits to West Point, NY, and towns along the St. Lawrence Seaway. Itineraries vary by length and route. A wide variety of ports of call is available, as well as embarkation home ports. Those in the U.S. include Baltimore, Boston, New York and Caper Liberty in New Jersey. Canadian sailings primarily leave fromQuebec and Montreal. Shorter Sailings: Seven-night voyages typically sail roundtrip from one of the above mentioned home ports. Carnival currently offers four- and five-night sailings with one or two Canadian port calls. Royal Princess (christened by the Duchess of Cambridge, Kate) will sail a roundtrip Canada/New England itinerary from New York City in 2014. Longer Sailings: Many lines offer 10- to 14-night cruises, too. Princess' extended itineraries include overnights in Quebec City. One-way Sailings: While getting to and from arrival and departure points takes a bit more planning, one-way sailings offer a greater number and variety of ports and can be found on 7-night and longer sailings. For example, Holland America, Norwegian both offer Boston to Quebec itineraries. Crystal sails between Montreal and Boston, Princess has one-way sailings between New York City and Quebec. Boston, Massachusetts. History comes to life in this city, rich in museums, galleries, parks and historic sights. 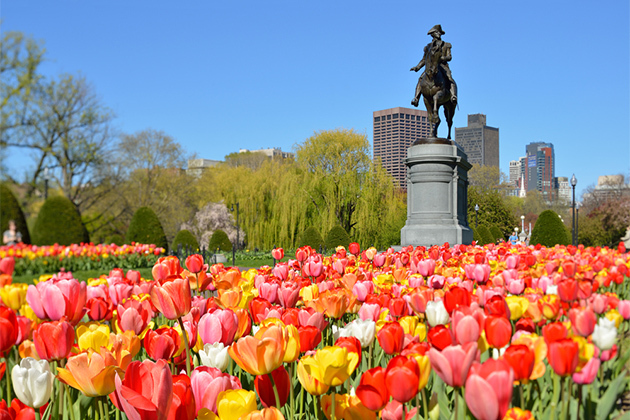 Follow the 2.5-mile Freedom Trail that includes the route of Paul Revere's ride, view restored tea ships at the Boston Tea Party Ships & Museum, or take a short trip to Concord to see the bridge where Minutemen fired "the shot heard 'round the world." Or, for more modern pursuits, stroll through Boston's Public Gardens, take a swan boat ride, and exit at the beginning of Newbury Street, home to boutique shops, cafes and great restaurants. Newport, Rhode Island This former summer playground of the famously rich is home to opulent mansions from the Gilded Age. Tour at least one. Grandest of all is The Breakers, Cornelius Vanderbilt II's Italian Renaissance-style palazzo with a lower loggia that features a mosaic of dolphins made from thousands of pieces of marble. Stroll Newport's famous Cliff Walk, a picturesque 3.5-mile path along rocky coastline that offers great "backyard" views of many of Newport's famous mansions. Bar Harbour, Maine. 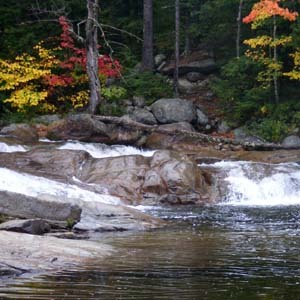 Acadia National Park is the main attraction, a 47,633- acre mix of rocky shores, towering cliffs and forested mountains. President Woodrow Wilson established Acadia as the first national park east of the Mississippi, and it's one of the most visited U.S. national parks today. The 45 miles of carriage roads that lace through it are popular with cyclists. In town, you can relax on the Village Green or sip microbrews at a pub. Halifax, Nova Scotia In Nova Scotia's capital, you can visit Pier 21 (Canada's Museum of Immigration), take little ones on a Theodore Tugboat cruise, or visit the Maritime Museum of the Atlantic, which has a vast collection of Titanic memorabilia, including the ship's only surviving deck chair. Outside the city, visit Lunenburg, a meticulously restored historic village and UNESCO World Heritage Site, or spend a half-day meandering through postcard-pretty Peggy's Cove with its scenic lighthouse, rocky inlets and seaside lobster meals. Saint Jhn, New Brunswick. One of Canada's most unspoiled provinces, New Brunswick lies on the north shore of the Bay of Fundy. Watch how the highest tidal range in the world causes a river to reverse direction, sending 100 billion tons of swirling seawater into the Saint John River. Better still, get out on the water, and jet boat through the Reversing Falls rapids, or take a kayak and lobster cookout excursion. Quebec City, Canada. 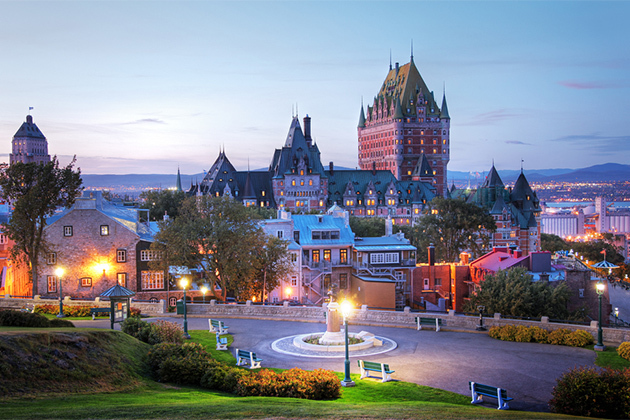 In Quebec City, you can get a taste of France without the Atlantic crossing. 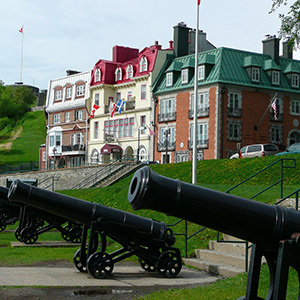 Visit historic sites that include Place Royale, a picturesque plaza that's considered the birthplace of French civilization in North America, and the star-shaped La Citadelle, a sprawling fortress and active military garrison that is a national historic site. Another highlight outside the city is Montmorency Falls, which -- at 275 feet -- is higher than Niagara. If you'reTraveling with kids, note minimum ages on biking, kayaking and other shore tours, and pick a line that offers tours that fit the needs of your family. Also consider touring on your own. 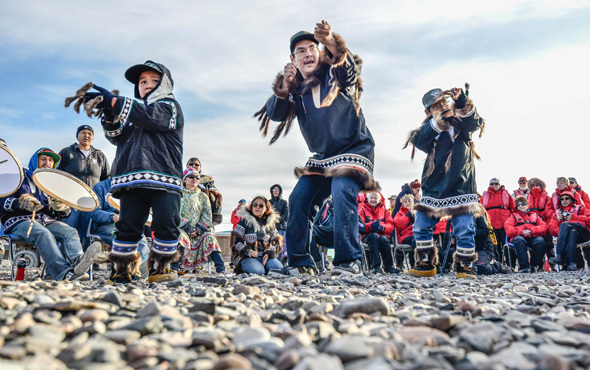 Unlike some Caribbean ports, there are oodles of kid-friendly attractions within safe and easy walking distance of ports in Boston, Halifax and Saint John, for example. Consider booking Big Pink bus tours or the Theodore Tugboat in Canada on your own, or take a cab to one of Boston's many kid-friendly museums. Most people don't realize that New England and eastern Canada is a wine-producing region, with vineyards in Massachusetts, Maine, Quebec and Nova Scotia. You can make a day-trip out of visiting local wineries, and, indeed, some sailings highlight wine touring in their itineraries. In general, a Canada/New England sailing is less likely to be bumpy than an Alaska one. However, ocean sailings are more susceptible to Rough waters than seas, so you might feel more movement depending on the weather. Pack layers of clothing, especially for shore excursions. Days begin and end with cool temperatures, so you'll want a sweatshirt or lightweight jacket that you can peel off and tie around your waist later in the day. A fleece jacket and pair of warm slippers are also worth packing for watching outdoor movies or strolls on deck at night. Pub aficionados take note: there are more bars and pubs per capita in the city of Halifax than in any other city in North America. As a result, the pub-crawling excursion is one of the most popular on any cruise ship. Fjords aren't limited to Norway and Chile; North America has them, too. Pick an itinerary that includes a day of cruising the Saguenay to see the Saguenay Fjord, located in the heart of the province of Quebec. It's fed by both the Atlantic Ocean and the St. Lawrence Seaway.